Do you make New Year’s Resolutions? Do you promise to lose weight? Eat better? Be nicer? Read a book that doesn’t have a vampire in it? We all make promises to ourselves to live better but how about your car? How about this year you make a few resolutions for your friend in the driveway? Fix those little things before they become bigger things. That noise under the hood isn’t going away no matter how high you turn the radio. Give it some love now and then. Routine maintenance will go a long way toward keeping your car on the road. Don’t neglect oil changes, proper tire care, even windshield wiper replacements. Check your insurance rates. It’s a good idea to check-in with your agent every year to see if you qualify for discounts, raise your deductible or make any other money saving changes to your policy. Drive smarter. As gas prices will probably keep going up it’s a good idea to learn smarter ways to conserve it. 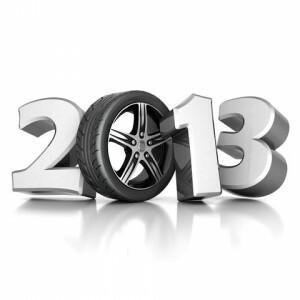 From proper tire inflation to accelerating unnecessarily, there are ways to avoid wasting fuel. Drive safer. In 2010, 3092 people were killed in crashes involving a distracted driver and an estimated additional 416,000 were injured in motor vehicle crashes involving a distracted driver. Don’t text, eat, read or do anything behind the wheel except drive. You can always OMG at a later time. Take a road trip. As we get older we may forget the feeling of freedom, as we trusted our 1995 Toyota Corolla to take us to a canoe trip, Pearl Jam concert, or just to visit friends in another town. Find that freedom again, whether you fire up the mini-van or the Mini Cooper and just hit the road. Turn up the radio to hide those weird noises. Just kidding. For all your auto maintenance or repair needs call or come by Sallas Auto Repair. We know how much you depend on your car so you can trust us to keep it (and you) on the road.